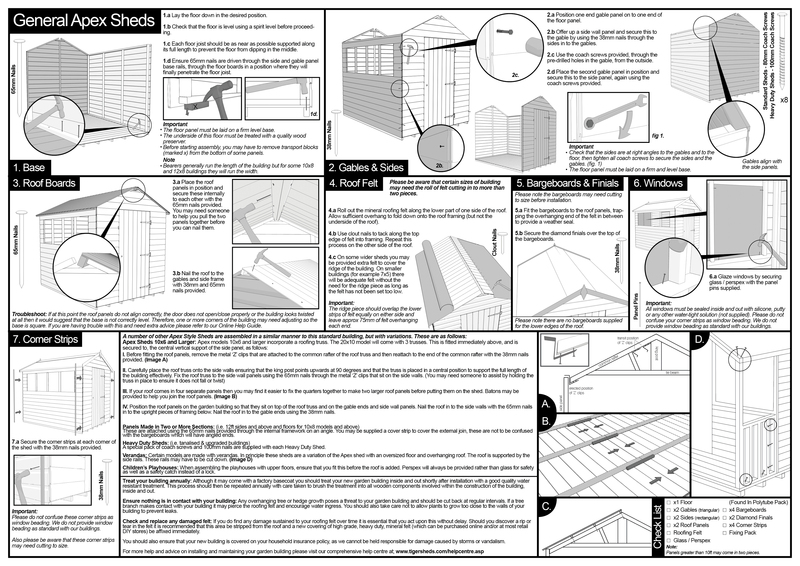 Very good shed, well made and easy to assemble.I especially liked the t&g floor and roof panels which are really good. It was the delivery drivers first day and he was really helpful. 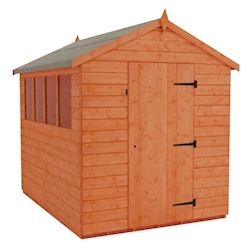 I would definitely recommend Tiger Sheds to anyone wishing to make a purchase. Great Quality Sheds. Easy to Install. Very Satisfied. 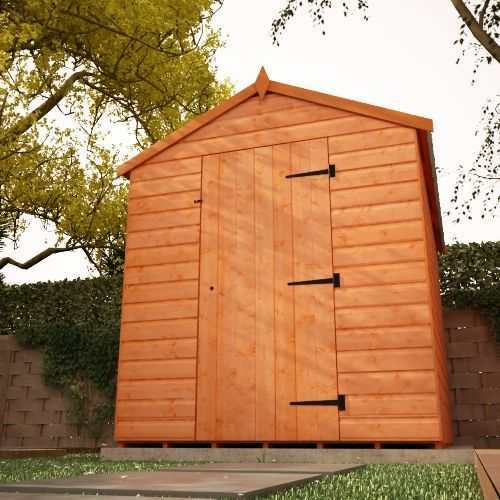 Good Job Guys great to see a shed that compliments our business. 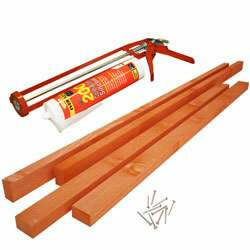 One recommendation would be to offer different types of tanalising for the option of painting. (not the easiest of colours to paint over) Not that that should put anyone off! 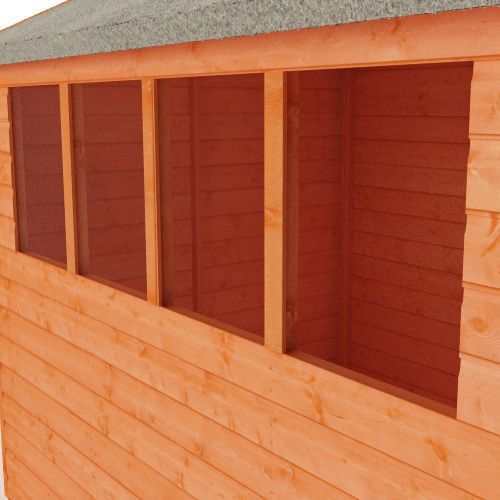 I am very happy with my 8x6 shiplap apex shed. The delivery was quick and efficient. The instillation took a couple with no problems. 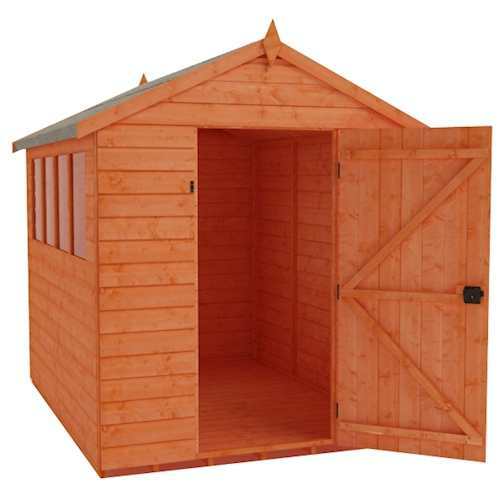 I would recommend buying a shed from Tigersheds.com. 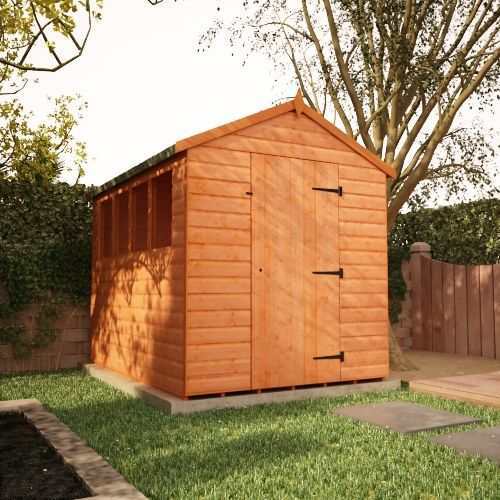 The price was very competitive and the shed looks great. very pleased. 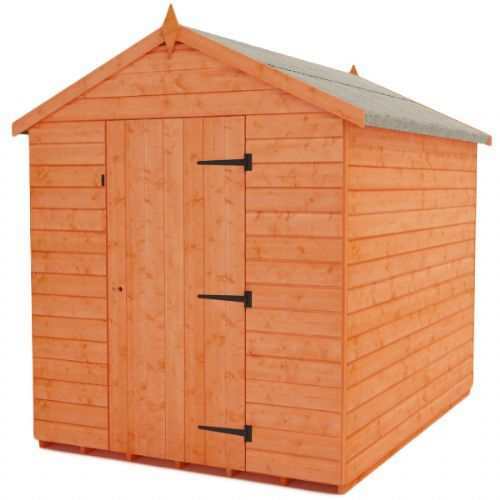 good quality.erecte d with help of grandchildren.delivery driver very helpful. 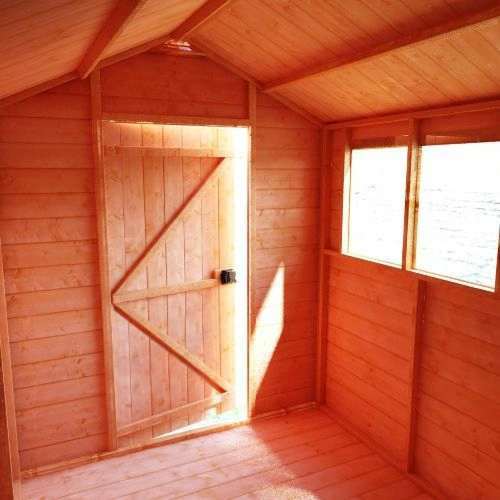 Very pleased with the new shed. 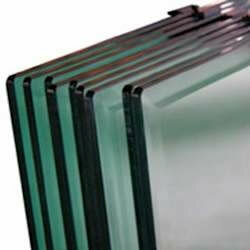 Delivered promptly well within the 2 hour time slot advised. The delivery driver was most helpful and courteous. The assembly was straight forward and completed in the day. I don't understand why there is a need for the large hole in the door apart from key access to the door lock already fitted, which incidentally does not work. My concern is that the Kasp Hasp and Staple when fitted will not cover the pre drilled hole. 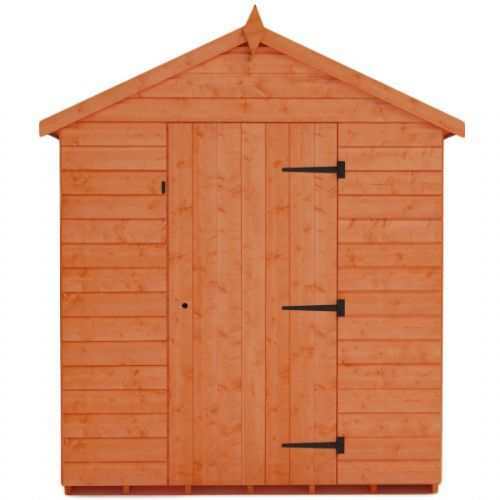 Decent shed for a decent price. Would recommend to others. Just enough felt for the roof. Would have liked a slightly wider piece for the ridge. Plenty of nails and fixings although I used my own.